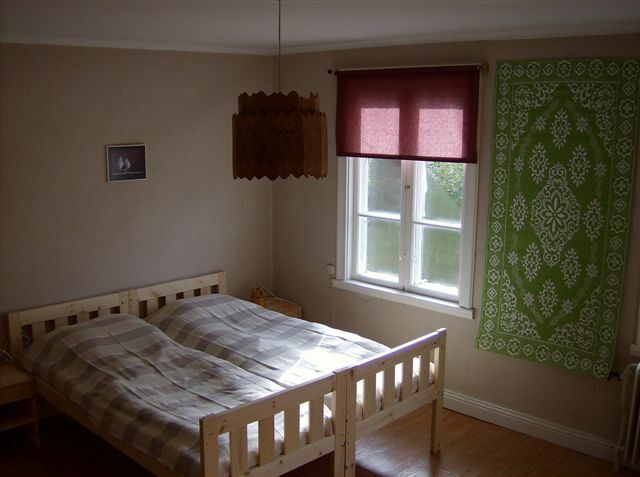 Bed & Breakfast Route 26 is the perfect place to stay the night over on your way from the south to the north in Sweden, or vice versa. Located along national road 26, 30 km south of Vansbro between Kristinehamn and Mora. 2 hours to Sälen, ideal if you want to enjoy maximum time on the skilopes. 6 hours to Östersund – 7 hours to Malmö. Stay the night with us and make your journey more comfortable as well as safe. We truely hope you will feel at home at our Bed & Breakfast. Our comfortable rooms have a high standard for a reasonable price. Free Wifi, stream your own Netflix at your room! And of course a delightful breakfast is included in the price! Living room with sofa and TV, feel free to use our Google Chromecast for streaming of your favourite TV-programme fom your ipad, or phone. When you book directly at the B & B you pay a downpayment of 30% of the total amount. The downpayment will not be returned when you cancel your booking. In case of special events such e.g. Vansbrosimning othe booking- and cancellationcondition might be the case. Who are we & what can you do close to the B&B? B & B Route 26 is situated along national road 26 between Kristinehamn and Mora. Säfsen offers a great variety of summer and winter outdoor activiteis, as wel as e restaurant. Cycle on an abandoned railway on a rail trolley at Station Sågen, 3 km from our B & B.